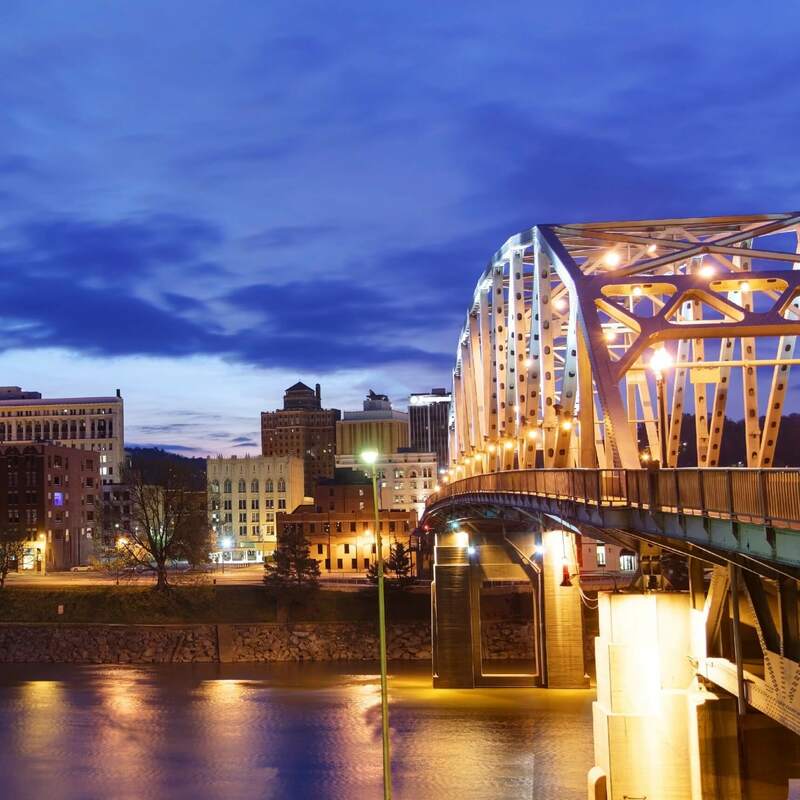 Ready for Maximum Visibility With Our West Virginia Marketing Agency? What Exactly Does A Charleston SEO Agency Do? SEO stands for search engine optimization and when you work with a top Charleston SEO agency you should expect that they will make onsite optimization changes and also conduct offsite optimization campaigns. This is a process of enhancing the performance of a website and associating keyword phrases (search terms) with pages on a site that is targeting visitors in West Virginia. There are two major components to SEO: onsite optimization and offsite optimization. The first – and perhaps most often overlooked step – is optimizing a website. If you want your website to be competitive and to essentially qualify for Google to list it on page 1, it needs to be the fastest site with the most thorough content. In the past few years, the criteria has changed greatly and even though you may occasionally see under-optimized websites on page one Google, they will not last very long as the competition is increasing on a daily basis. We have to ensure that the appropriate title tags (H1,H2,H3, etc.) are used, meta content is optimized, content includes LSI keywords, image optimization, caching, minification, and compression are activated. These are just a few of the required factors that add to a website’s considerations for being ranked. Simply having a fast site that meets GTMetrix or Google PageSpeed requirements is not enough. This is only one half of the equation but it is a significant portion. Often testing is required to determine what mix of keyword phrases and headers generate the best results in Google. Search engine optimization can include some overall server optimizations and having a decent server is important, but for the most part it has to do with the way that Google algorithms evaluate your website based upon the sites that link to it. For example, if your website has a lot of links on it from other sites that all use the keyword phrases that coincidentally your website pages are optimized for, then that is an immediate red flag for Google. This makes your site look like you’ve been attempting to game their ranking criteria and they don’t like that. On the other hand, if your website has a variety of backlinks and social sharing on sites like Facebook, Twitter, YouTube, Pinterest, LinkedIn, etc. then it seems like an authority site within your specific niche. As internet marketers, we know for a fact that if your business is not on the first page of Google for your keyword phrases you will be receiving less than 1% of the overall search traffic for your relevant terms. There is a lot of misinformation about doing internet marketing and in most cases the worst approach is to try to do-it-yourself because of the amount of time it takes, the necessary systems to have in place, and the COST of making a mistake. In our comprehensive internet marketing services, we proactively move your site upward in the rankings and if/when we stop seeing upward movement we adjust our techniques and adapt to the feedback Google is giving us directly and indirectly. SEO is a fluid, adaptive process and search engine rankings will always move around on a month-to-month basis as Google algorithms are updated. HOW WILL OUR CHarleston SEO SERVICES BRING YOU MORE CUSTOMERS? Our proprietary SEO system will optimize your site for FREE traffic. When you work with our expert team, you will have access to weekly reports and obviously, as our clients, we will set up your Google Analytics account that you can check at any time. Google Analytics will help you to track website visitor demographics and search terms from Google’s perspective. Our internal reporting will tell you search results position for ranking a site in and the Google Analytics reporting will share with you the site visitors, website impressions and website CTR (click-through-rate) when your site is displayed in the Google search. You will also receive a monthly summary of our search engine optimization activities in the form of direct website links or images that show offsite work (in many cases, our network of marketing experts do not reveal their direct websites for various security reasons but we will share images of the work posted on their networks). Sapid Agency will make your organization rise to the top in local, national and/or global searches. Our GMB maps SEO will optimize your Google My Business listing on Google Maps and rank your website for city and state relevant keyword phrases. Our expert internet marketing services can bring your website to the forefront of search traffic in the USA. And, if you are a business targeting a global market, we are an internationally established search engine optimization services company that can position your business in any market. Sapid Agency focuses upon the following primary industries: Chiropractic Practices, Wineries, Accountants, Realty, Manufacturers, Resorts, Dentists, Exports, and Automotive Dealers but this does not mean we can’t help you in your specific niche. In fact, quite the opposite. Our ability to rank in the most competitive markets means Sapid Agency can definitely maximize your internet presence. Ready for Maximum Visibility With Our Charleston SEO Company?